ANN ARBOR, Mich. - We're about a month into the 2018-19 college basketball season, and Michigan has been one of the most surprising teams in the country. The Wolverines are the only team in the country to have won every game by more than 15 points -- and it's not a result of an easy schedule. After starting the season at No. 19 in the preseason AP Poll and No. 18 in the Coaches Poll, Michigan has risen to No. 5 in both polls. But do the Wolverines deserve to be ranked higher? 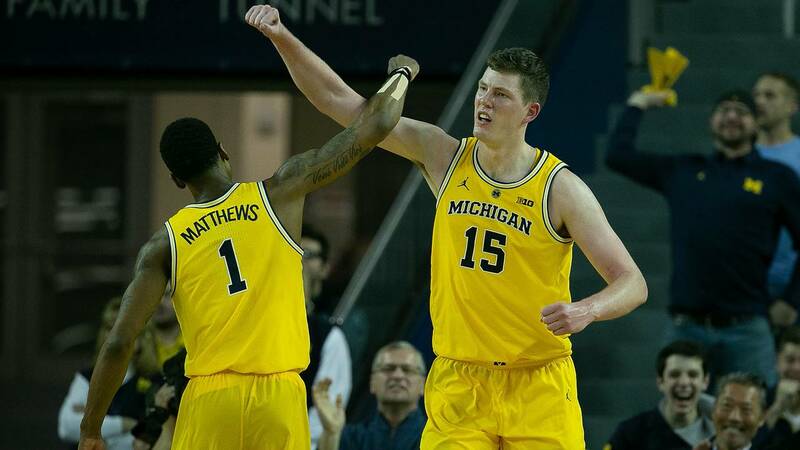 John Beilein's teams are known for steadily improving throughout the season and peaking in March, but this year's group already has one of the top resumes in the nation. Here's a look at how Michigan's resume compares to the other undefeated teams in the country. NOTE: "Winning major conference teams" are qualified as Big Ten, ACC, Big 12, SEC, Pac-12 or Big East teams that currently have winning records. Through eight games, Michigan's resume is as well-rounded as it gets. 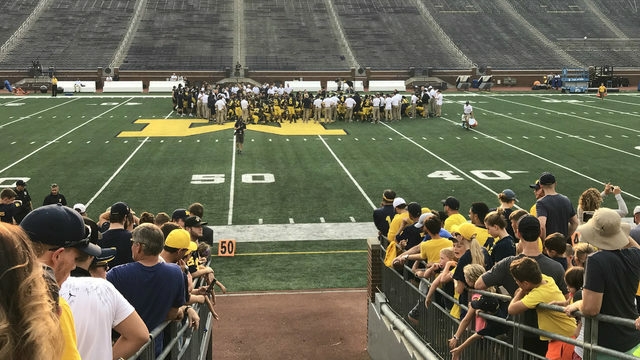 Michigan is one of only three teams with two wins over currently ranked teams, and none of those other wins came by more than seven points, while Michigan's were by 27 and 17 points. The Wolverines took care of business against Norfolk State, Holy Cross, George Washington and Chattanooga in November, winning those games by an average of 22.25 points. In the Air Force Reserve Basketball Hall of Fame Tip-Off, Michigan cruised past Providence by 19 points to win the championship. 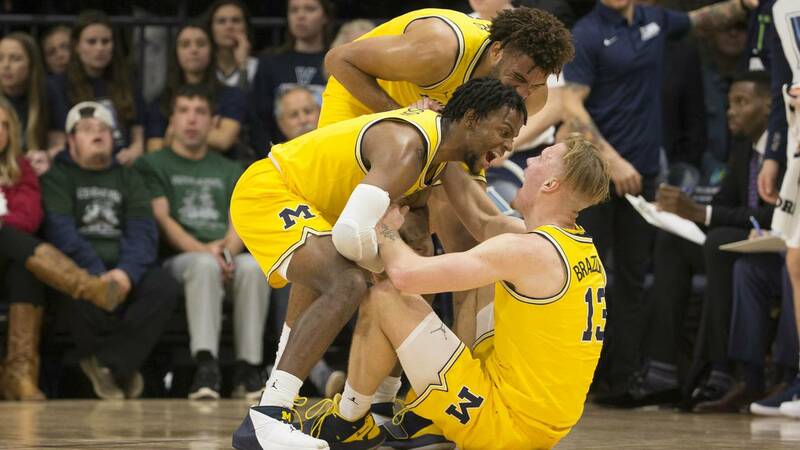 Most high-profile teams haven't faced a true road environment at this point in the season, but Michigan went to Villanova and spoiled the reopening of the Finneran Pavilion, winning by 27 points in front of a hostile crowd. The beatdown ;was acknowledged by the namesake of the renovated arena while he was honored at halftime. "This is the worst game you're going to see here," Bill Finneran said. Michigan is an elite defensive team, ranking No. 1 in the nation by a wide margin. The gap between Michigan and the No. 2 defense is nearly as large as the gap between the No. 2 and No. 7 defenses -- Virginia and Penn State, respectively. Beilein's team is also as close as it gets to having three wins over ranked teams, as Purdue, which fell out of the Top 25 after a loss to Michigan, is currently one point behind Furman for the No. 25 spot in the AP Poll. Below, the resumes of the other undefeated teams will be compared to Michigan's resume. Houston is one of only two undefeated teams that remain unranked in both major polls, but the Cougars received enough votes to be on the fringe of the rankings. The biggest win for Houston came against an Oregon team that was ranked No. 18 at the time but has since fallen out of the Top 25 due to a 4-3 record. Oregon's home loss to Texas Southern took some sizzle out of that victory for Houston. There are a few opportunities remaining for strong wins out of conference, including a road trip to Oklahoma State and a home game against LSU. But for now, Houston's resume doesn't come close to Michigan's resume. 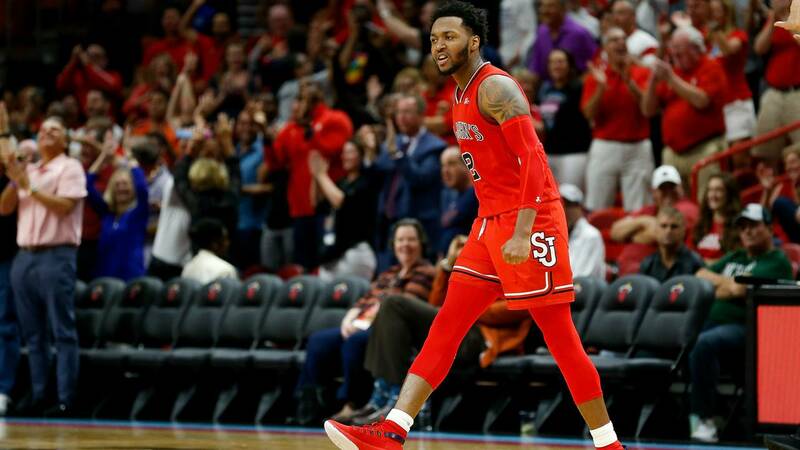 St. John's is the other unranked undefeated team, also receiving votes in the AP and Coaches polls. While the Red Storm hasn't lost a game, many of the victories have been unimpressive. St. John's beat Bowling Green by four points and Cal by three points. The road win at Rutgers is probably more impressive than it looks, as the Scarlet Knights are 5-2 and have since won on the road at Miami. But the St. John's schedule has been relatively easy so far, so it doesn't quite stack up with the best in the nation. The comparison between Furman and Michigan is unique in that they both played at Villanova just three days apart. Furman's victory -- an eight-point win in overtime -- was less dominant than Michigan's 27-point dismantling, but it was still impressive. The Paladins have knocked off half of last year's Final Four, as they won at Loyola-Chicago early in November. Furman has taken care of business on the road three times, more than any other team on this list. It certainly deserves to be in the Top 25, but with four wins by single digits and fewer big wins, Furman's resume still falls short of Michigan's resume. Buffalo made a splash in the opening week by winning at West Virginia, and even though the Mountaineers went on to lose to Western Kentucky and fall out of the rankings, it was an impressive win. After smashing Arizona as a 13 seed in last year's NCAA Tournament, Buffalo has risen to No. 17 in the current AP Poll. San Francisco was 7-0 when it squared off with Buffalo in Belfast, Northern Ireland, so that was another quality win. Beyond those two games, though, Buffalo's schedule is pretty weak. It has road games against Syracuse and Marquette coming up this month, but until then, the resume isn't top-10 worthy. Arizona State is the only Pac-12 team ranked in the Top 25, and no other team is even close. The Sun Devils won their first 12 games last season, and so far, this season is on the same track. Through seven games, Mississippi State is the only big win on Arizona State's resume, but a victory over 7-1 Utah State was also solid. One hole in Arizona State's resume is the lack of a road test, because a game at San Francisco was postponed due to wildfires. 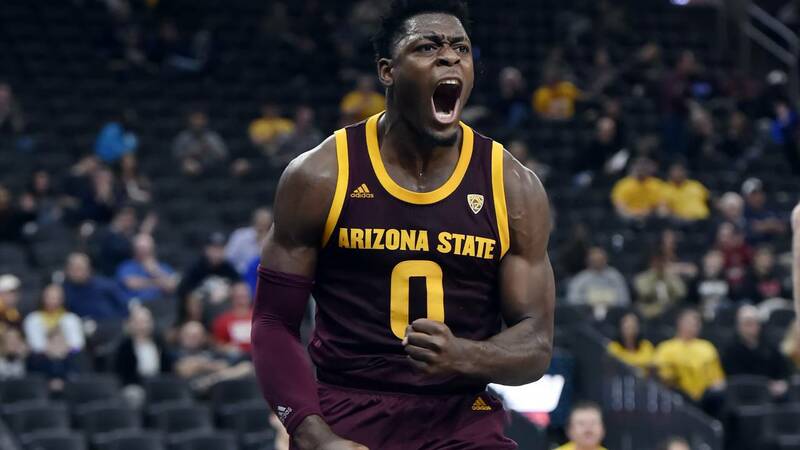 December will be a massive test for Arizona State, as it plays No. 6 Nevada and No. 2 Kansas and has road games at Georgia and Vanderbilt. 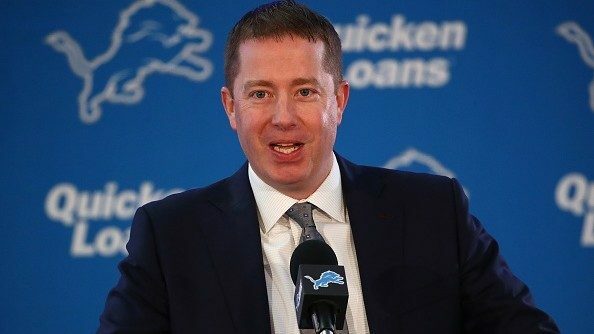 For now, the resume needs more than just a win over the current No. 22 team. Nevada is exactly where everyone expected when it started the season ranked No. 7 in the AP Poll. The Wolf Pack has cruised through its first eight games, winning each by at least 10 points. The glaring weakness in the resume, obviously, is an absence of a ranked opponent. Nevada has ripped off back-to-back road wins against Loyola-Chicago and Southern Cal by a total of 26 points, so it's not like the resume is barren. But with a weak Mountain West Conference and only No. 20 Arizona State remaining as a test in nonconference play, Nevada will remain fairly untested until March. 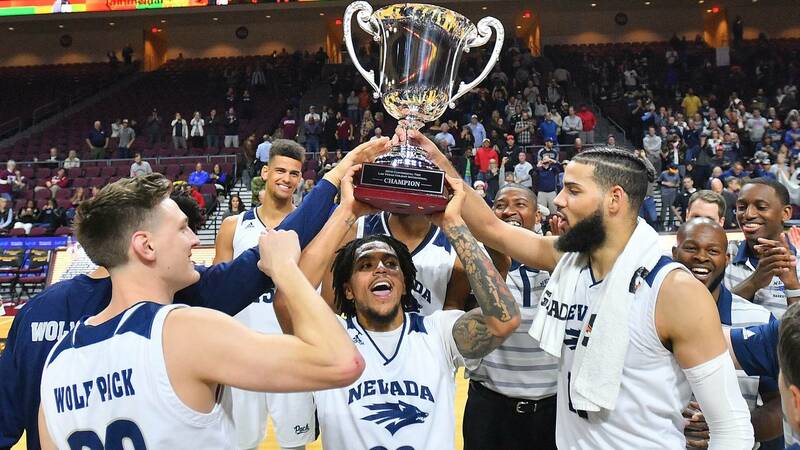 As an undefeated team coming off a Sweet 16 appearance, Nevada deserves to be ranked in the top 10, but it doesn't have one of the top resumes so far. 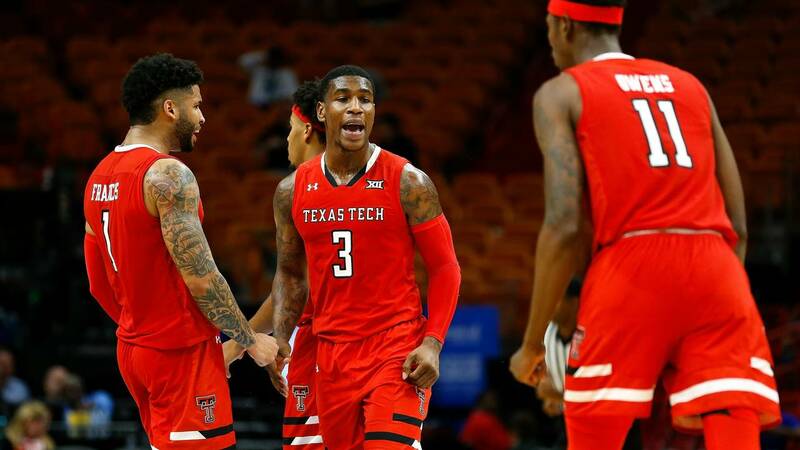 Texas Tech somehow flew under the radar coming into the season despite playing tough against Villanova in the Elite Eight. The Red Raiders are elite defensively again, ranking No. 3 in defensive efficiency. Only one team has eclipsed 65 points against Texas Tech this season. Wins over Southern Cal and Nebraska earned Texas Tech a Hall of Fame Classic championship, but it hasn't played a single game on the road. In fact, Texas Tech won't play a single nonconference game on the road. The Red Raiders' three best wins came at neutral sites, so it's not like they can't win away from home. But for now, Michigan's resume is stronger in terms of ranked opponents. As a fellow top-five team, Virginia is the first on this list with a resume to rival Michigan's resume. 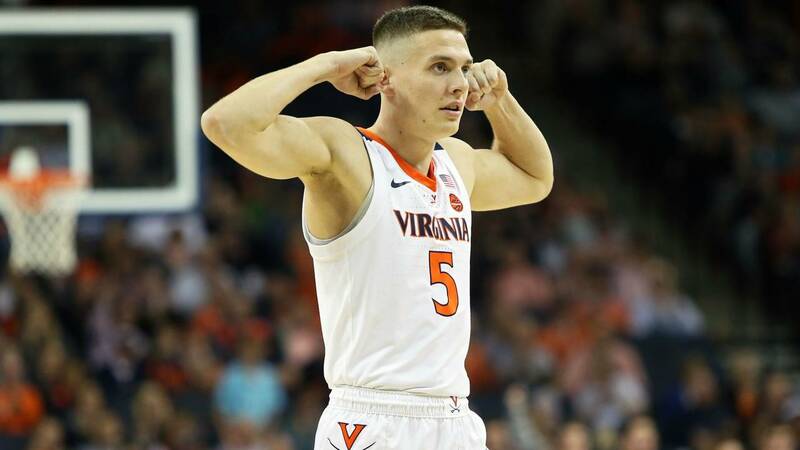 Virginia played back-to-back games against ranked Big Ten teams, taking down Wisconsin in the Battle 4 Atlantis title game and Maryland in the Big Ten-ACC Challenge. With the second-best defense in the nation, Virginia has been grinding out wins against good teams. It survived tests against Dayton, Wisconsin and Maryland by an average of 6.3 points. Virginia's road win was a five-point victory at No. 23 Maryland, which wasn't as dominant as Michigan's 27-point win at No. 21 Villanova. 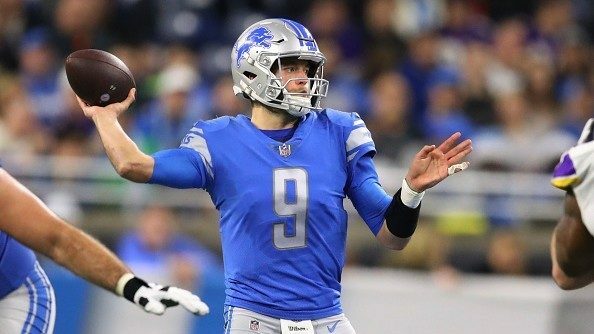 The seven-point win over No. 12 Wisconsin was comparable to Michigan's 17-point win over No. 14 North Carolina because it came at a neutral site, while Michigan was at home. But wins over Purdue and Providence give Michigan's resume a little more depth than what Virginia has so far. Both teams are 8-0 with two ranked wins, but Michigan has more impressive secondary victories, and therefore, a slight edge in overall resume. No team has a better pair of wins than Kansas, which beat No. 7 Tennessee and No. 10 Michigan State on neutral courts. Kansas also has a third strong victory over 6-2 Marquette, which is just outside the Top 25. That trio of wins is even more impressive than Michigan's wins over North Carolina, Villanova and Purdue, as the rankings currently stand. Kansas has the best wins, but Michigan has an edge in dominance. In six games, the Jayhawks have only won by double digits twice, and none of its wins came by more than 16 points. All eight of Michigan's wins have come by more than 16 points. 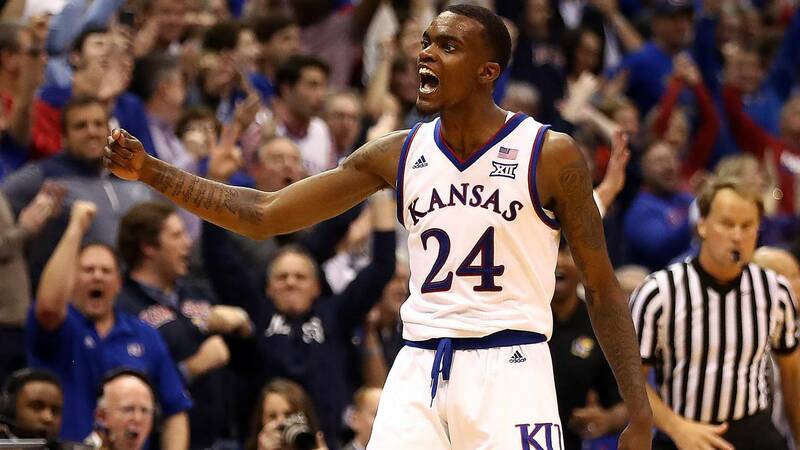 The Jayhawks struggled at home against Stanford last weekend, needing a desperation 3-pointer from Lagerald Vick to send the game into overtime. It was the second straight overtime win for Kansas. Choosing between the resumes of Michigan and Kansas is difficult because Michigan has clearly been more dominant but Kansas has the better wins. Kansas hasn't played single road game, which works in Michigan's favor. But Kansas' three biggest wins came at neutral sites, while Michigan played both North Carolina and Purdue at home. Both have five wins against teams with winning records, though Michigan has played two more games. It's a close call, but I'll ultimately give Kansas a slight edge since both Tennessee and Michigan State are ranked higher than any team Michigan has played. Gonzaga is the No. 1 team in the country because it has the single best victory: a Maui Invitational win against Duke. Gonzaga received 43 of 64 first-place votes in the AP Poll and 21 of 32 first-place votes in the Coaches Poll. 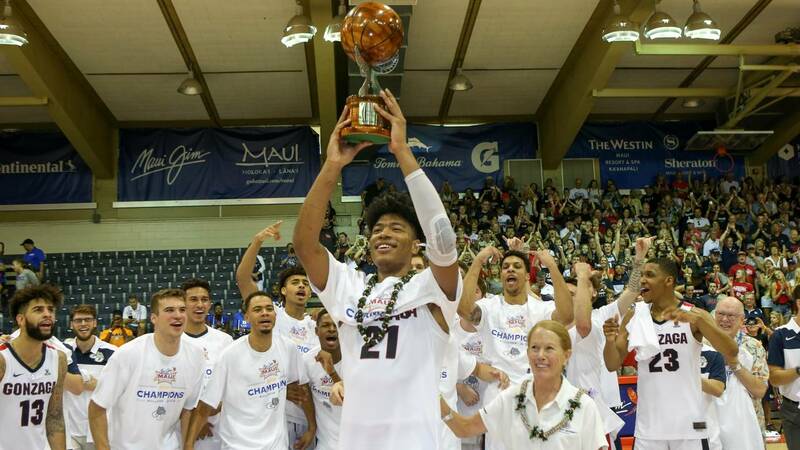 The winner of the Maui Invitational almost always returns to the mainland with three quality victories, and Gonzaga certainly came back with at least two. Duke is the highest-ranked team with a loss in the country, so that's clearly the best win in college basketball so far. Gonzaga also has a great road win at Creighton, scoring 103 points on the Bluejays. The Zags currently have the No. 2 offense in the country behind Nevada. Gonzaga also has a dominant win over Arizona, giving it three solid wins this season. It will get opportunities against Washington, Tennessee and North Carolina and its next three games. Illinois stuck within six points of Gonzaga, but other than that and the Duke game, Gonzaga has won every game by at least 11 points. It's been a solid blend of dominance and wins over good teams. Michigan has three wins better than Gonzaga's second-best win, but the Duke game carries a ton of weight this early in the season. For now, Gonzaga owns the best resume in the country.